It was a quiet week last week in the U18 Professional Development League with only four games played, three between teams in opposing groups and one in the south group. Cardiff won the all south group fixture against Watford to take them behind leaders Ipswich on goal difference, but in the other three games it was the north who came out on top with wins for Birmingham, Crewe and Sheffield United against Coventry, Colchester and Millwall respectively. None of those results affected the top of the table which still sees Sheffield Wednesday two points clear of both Nottingham Forest and us. This week we return with a full fixture list which sees Sheffield Wednesday travel to Bolton while Forest face an away game against Sheffield United. We are on the road this week with a 12 noon kick off at Birmingham. Last season we both won our home games with the away game also played in October. It was an October game last year too, one we lost 2-1 with our goals coming from Tristan Jumeau and Kian Yari (pictured). We were twice two goals behind with Jumeau scoring late in the first half and Yari scoring his goal close to the end. The result saw us lose our early season place at the top of the table. 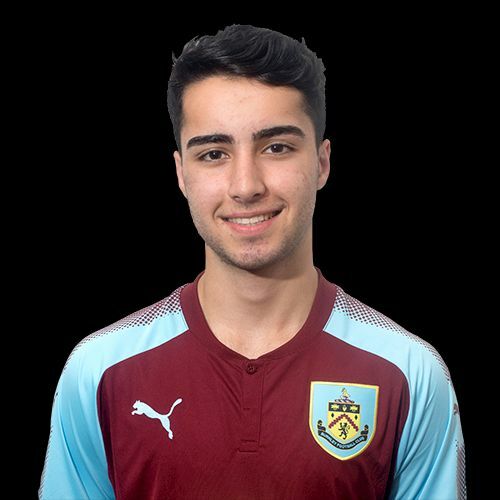 The three players currently out on loan – Michael Fowler (Padiham), Will Harris (Nelson), Ethan Kershaw (Barnoldswick) – have all seen those loans extended until November. They will only be available for our youth team should they not be required by those three clubs. The League Tables are updated as results are confirmed and can be found with our Fixtures and Results in U23/U18 Stats on the top menu. Last week’s results, this week’s fixtures, Burnley’s goalscorers and the current league tables can all be found below.